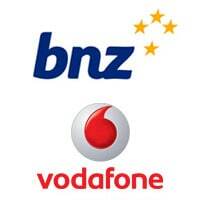 Mobile network operator Vodafone is launching a pre-commercial prepaid payments trial in New Zealand, in partnership with Visa and Bank of New Zealand (BNZ). The trial will make use of Samsung Galaxy S III and HTC One smartphones equipped with the Vodafone SmartPass app. Customers can load funds into their SmartPass account using any bank card as long as they are Vodafone subscribers and, according to the carrier, users of the app will be able to make payments at “thousands of Visa Paywave enabled contactless terminals around New Zealand”. Locations include fashion department store Farmers, BP and Z Energy, as well as selected coffee shops, sports stadiums and “many more”. The Vodafone SmartPass application can be protected with a PIN code and transactions are backed by Visa’s global processing network. The move follows an announcement in April last year by Paymark, Telecom New Zealand, 2degrees and Vodafone New Zealand of their intention to form a TSM to establish an open ecosystem for NFC services in the country and the announcement earlier this week that Vodafone SmartPass is to go live in Spain by the end of this year.